If you have ever attempted travelling in time by merely catching a flight, you may know this already. If not, a word of warning: it rarely works. I lived in Berlin during a hauntingly beautiful winter, with naked trees dancing in the howling wind, a cold that permeated every fibre of your being, the snow forever falling, forever white. Its beautiful, pastel turn-of-the-century buildings, with their subtle elegance and faded grandeur; and then the square, grim-looking Plattenbauen, geometrical windows and layers upon layers of grey were the background of one of the happiest periods of my life. It was a unique combination of excitement, happiness and absolute freedom that come with being very young and in such a special place. So when I went to Berlin last weekend, and stood by the bridge I used to cross every day, imagining the river swollen with ice, and desperately trying to recreate the very feeling I was after, pretending I still lived there, I failed. I stood there for so long just trying to impress every detail in my memory and feeling melancholic at the thought that later that day I would be back in my room in London. I made it all the way to my old flat and got very close to ringing the bell and it became clear: I could not feel the way I would have felt three years ago. Travelling through time cannot be achieved by simply travelling. But that’s ok: I found new places to eat. It feels a bit funny to call this series ‘where to eat in Berlin‘ because this is in no way a comprehensive guide – it’s more of a diary of places I ate in and would recommend, but surely you see how that would make a less catchy title. 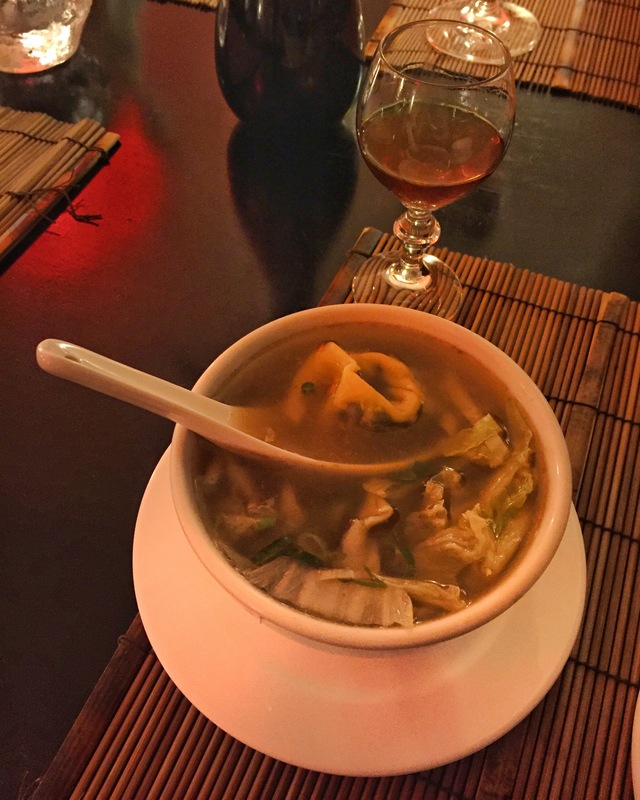 When it comes to Chinese, it can be hard to find a middle ground. There are the somewhat shady-looking take-aways, with their laminated, sticky menus, serving dry chicken on Formica tables; or the authentic, loud, messy joints that serve beautiful ribbons of hand pulled rice noodles and juicy meat swimming in a pool of chilli oil, or even the very elegant and very expensive restaurants with big round tables and golden centrepieces. 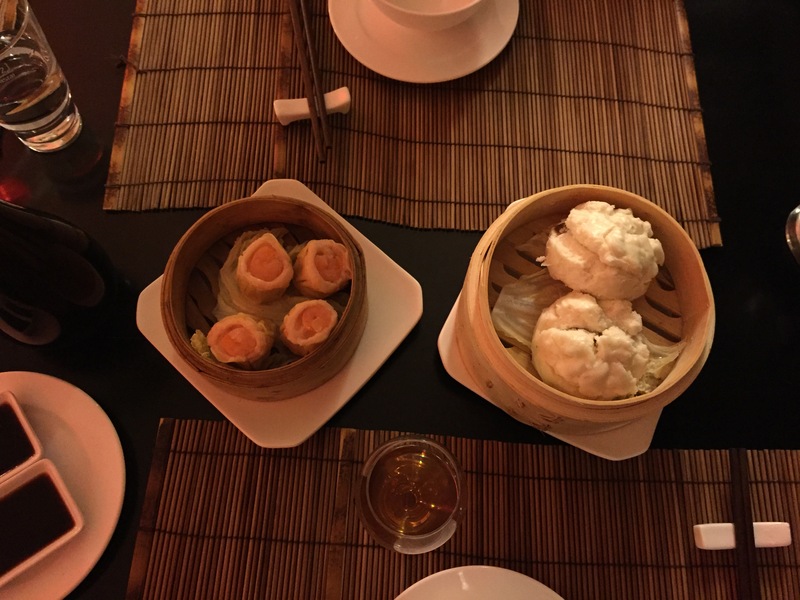 Tangs Kantine has a chic, minimalistic decor that hints at Imperial China without over doing it; it has a lovely atmosphere, a quiet buzz that makes it perfect for a date or a catch up. 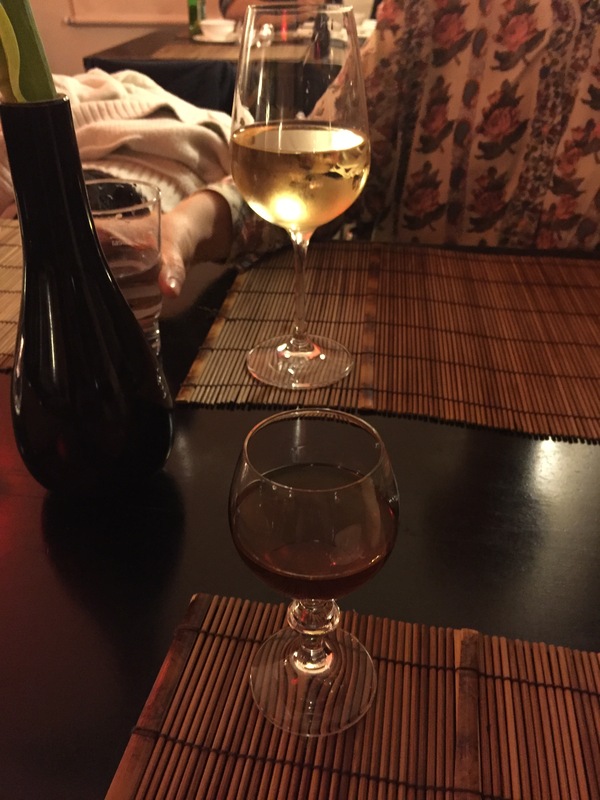 We started a meal with some lychee wine, a beautifully floral take on fortified wine, and a warming bowl of wanton soup. Then came the baozi, pillow-soft, white, with their chewy, springy texture and a savoury and creamy filling of stewed pork. 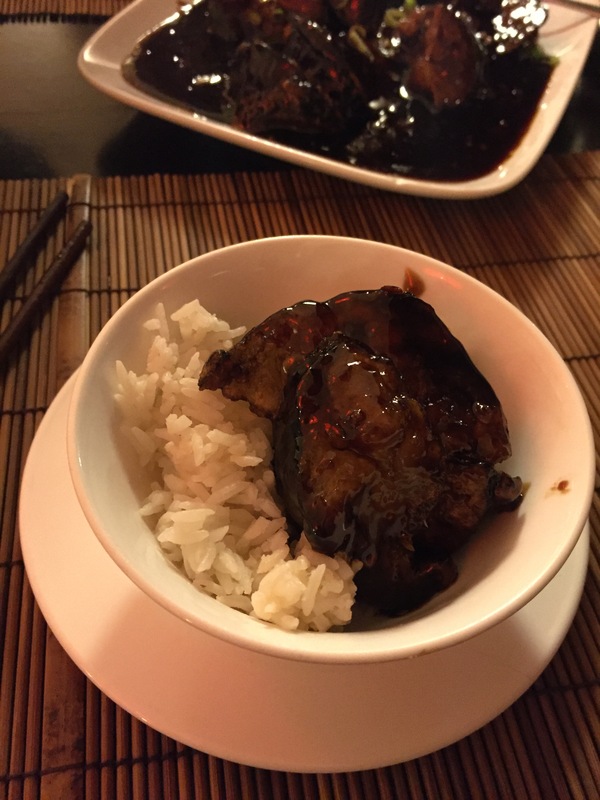 The aubergine (pictured above) was the star of the show, a very meaty, soft texture, a hint of smokiness, drowned in an aggressively savoury, sweet and sour dark sauce. 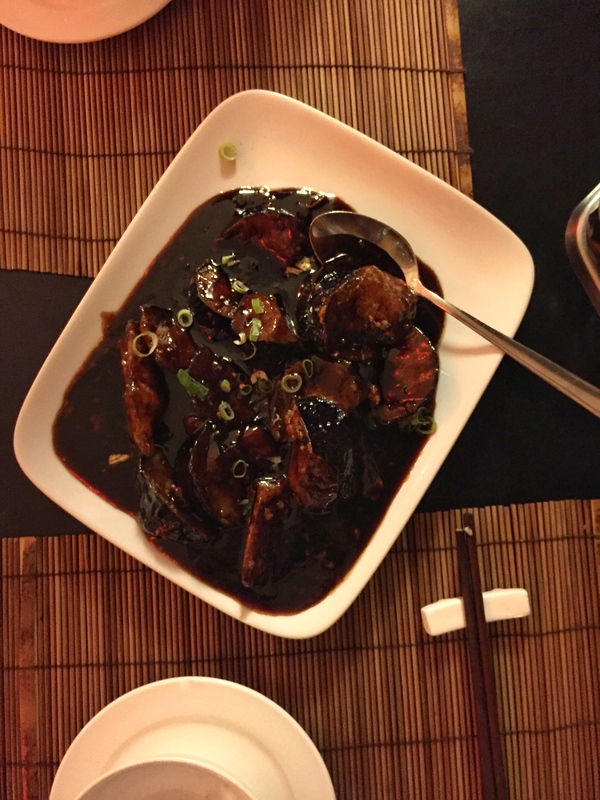 The food was solid, but what I loved the most about the place was the carefully crafted balance between its chic, understated, atmospheric charm and the huge-portioned, generous plates of hearty food (which also come with an enormous china bowl of white rice). Prices are a little bit over the Berlin average but still very affordable.